Together we can connect Sandy Bay to the Hobart city foreshore. 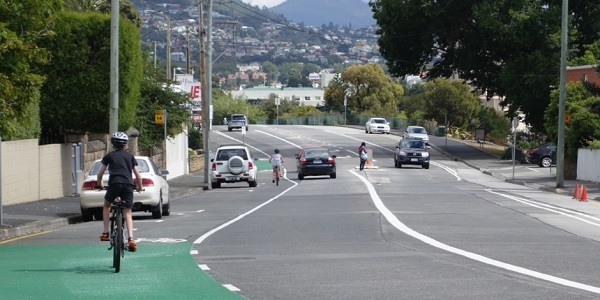 There is no safe and easy connection between the bike lanes on Sandy Bay Road and the Hobart waterfront. The Hobart City Council has spent the past seven years creating high-grade bike lanes on Sandy Bay Road. However, lanes end at Marieville Esplanade leaving commuters to battle traffic or take the hillier, winding, quieter route through Battery Point. The plan to connect Sandy Bay Road bike lanes to the Hobart waterfront, around the Battery Point Foreshore has proven difficult with local residents scuttling plans by the City of Hobart back in 2015. This means that currently there are no easy routes for the increasing number of students who travel between the University of Tasmania’s Sandy Bay campus and the new developments in the CBD. This demand for a safe place to ride is only set to increase with the completion of two more major CBD developments by the university over the next five years. Check out the full progress of the project on Cycling South’s website. A shared pathway around the shoreline from the Hobart waterfront to Marieville Esplanade. 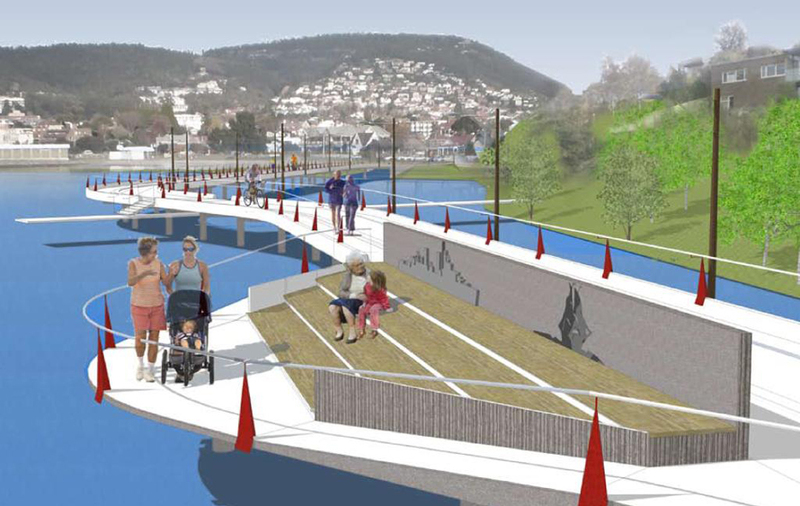 As a shared pathway along the foreshore would be an iconic feature of Hobart, attracting visitors and locals to the area. It would also provide a direct link to the Hobart waterfront for walkers and bike riders, bypassing the hillier suburban streets. 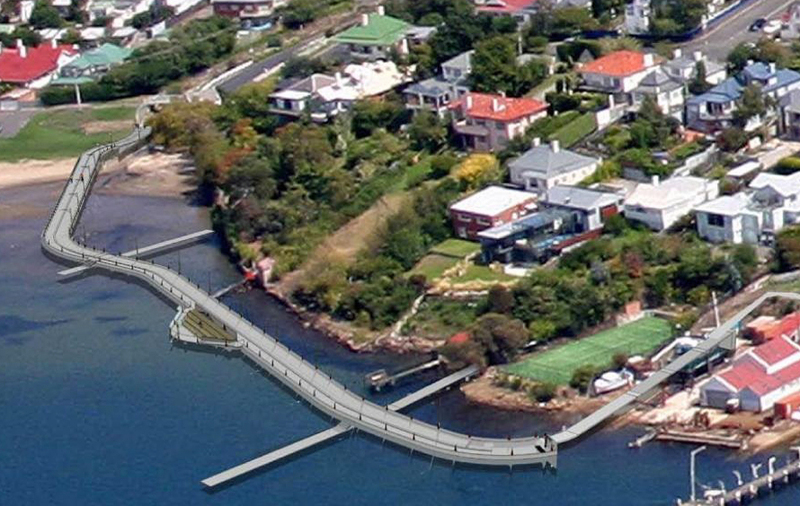 While The Resource Management and Planning Appeals Tribunal rejected the Hobart City Council’s plan for the walkway in 2015, the local council has plans to revive the project. But we should all be prepared for another public battle. There’s strident opposition from residents of the exclusive and historic Hobart waterfront suburb of Battery Point, particularly from those living in Clarke Avenue and Napoleon Street as the path would run past their back yards. We’ll continue to work behind the scenes with local stakeholders and decision-makers to keep progress on track. Join us and help make our voice even stronger so that we can influence real change in our communities. Share this campaign and show your public support.